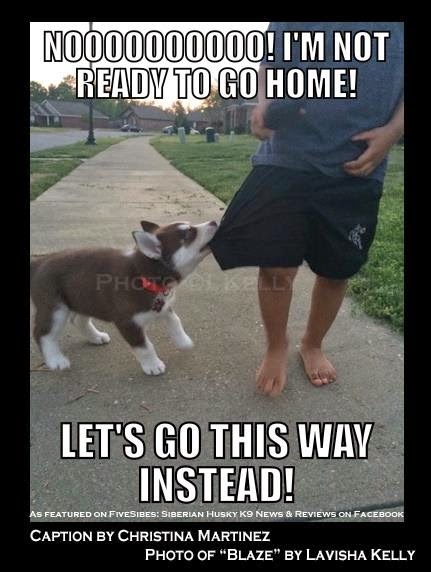 Puppy Knows Best on a Merry Meme Monday! What a great way to kick off a week! 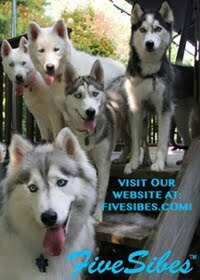 FiveSibes™ Merry Meme Caption Contest is periodically hosted over on our FiveSibes: Siberian Husky K9 News & Reviews Facebook page! How cute is this photo of Lavisha Kelly's baby "Blaze?" SO cute! We have a lot of fun with the photographers and caption winners (winners are selected by total number of "Likes" by our Facebook readers), so join us each Monday for some Merry Memes and lots of smiles! 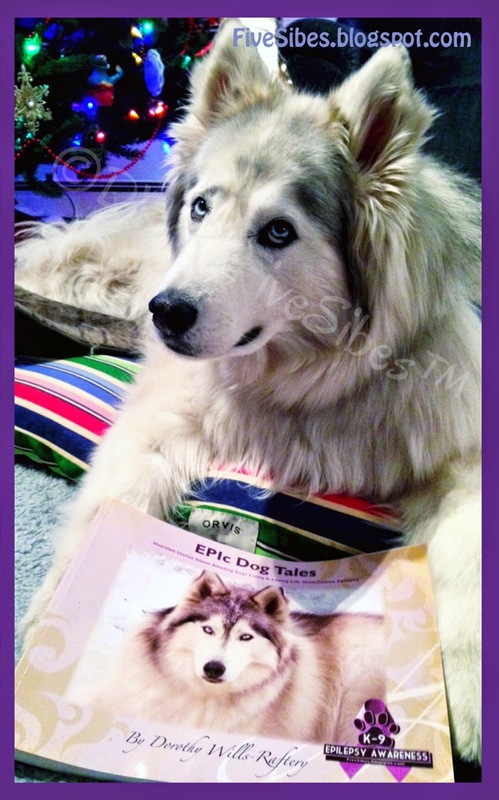 Purple Day®: Supporting Canine Epilepsy Worldwide Blog Hop & New Epilepsy Book Release! 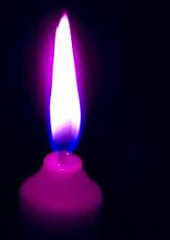 Today is International Purple Day® in support of Epilepsy across the world. 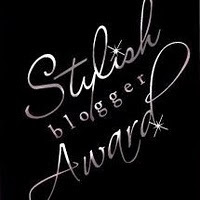 I'm very proud to be an official Amabassador for my fourth consecutive year.Today, we are hosting our first annual Purple Day Blog Hop! 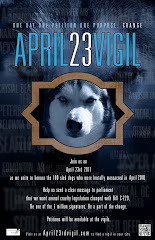 Please sure to see how you can join in this very important event at the end of this post! 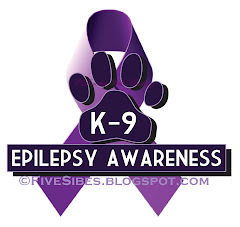 bringing awareness, education, information, resources, and support to people about Canine Epilepsy. We also hope to help dispel some of the fear associated with seizure disorders and to let folks know they are not alone. We are here for you and hope we can successfully steer you in the right direction for assistance. According to PurpleDay.org, “Cassidy Megan created the idea of Purple Day in 2008, motivated by her own struggles with epilepsy. Cassidy's goal is to get people talking about epilepsy in an effort to dispel myths and inform those with seizures that they are not alone. The Epilepsy Association of Nova Scotia (EANS) came on board in 2008 to help develop Cassidy's idea, which is now known as the Purple Day for Epilepsy campaign. In 2009, the New York-based Anita Kaufmann Foundation and EANS joined forces to launch Purple Day internationally" to support Epilepsy worldwide. 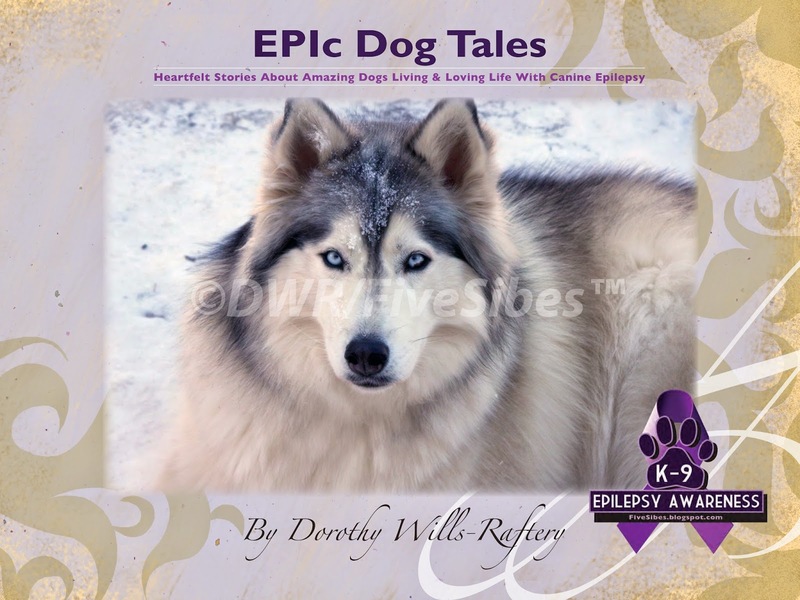 Today also marks the formal release of my latest book, EPIc Dog Tales: Heartfelt Stories about Amazing Dogs Living & Loving Life With Canine Epilepsy (ArcticHouse Publishing). As many of you know, this has been a very special project near and dear to my heart that I've been working on for the past two years. 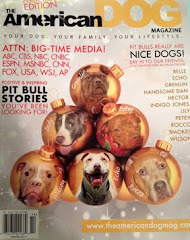 The 264-page large coffee-style book contains 122 stories about, and color photographs of 124, amazing Epi-dogs from across the world, many you may already know! 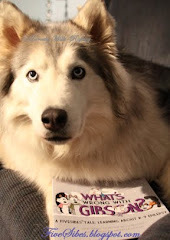 This book also contains an extensive resource list from my own library of research, as well as recommended resources, Canine Epilepsy comparative chart from past surveys I've conducted, informative quotes from veterinarians and fellow Epi-dog parents, and much more. 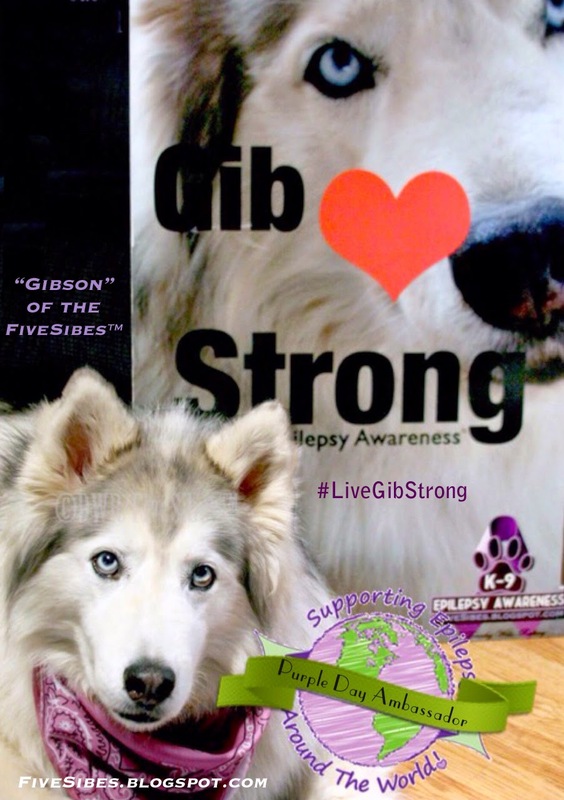 It is my hope that through these stories and the resources included, anyone who is faced with Canine Epilepsy will never feel alone and have a "go to" resource book for helpful hints, tips, and resources. 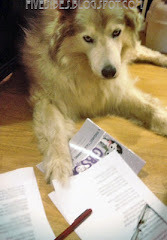 Gib with first copies hot off presses! 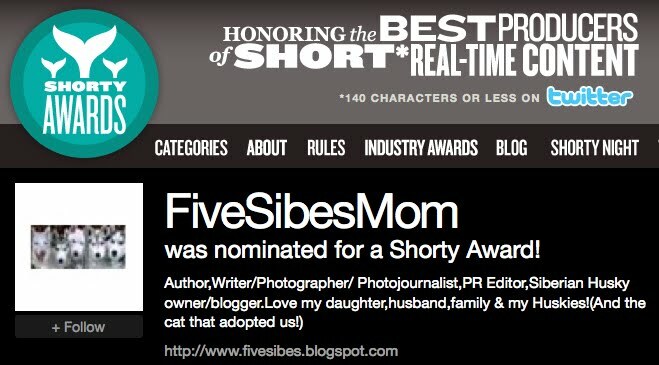 featured in the book and the reviews have been wonderful! 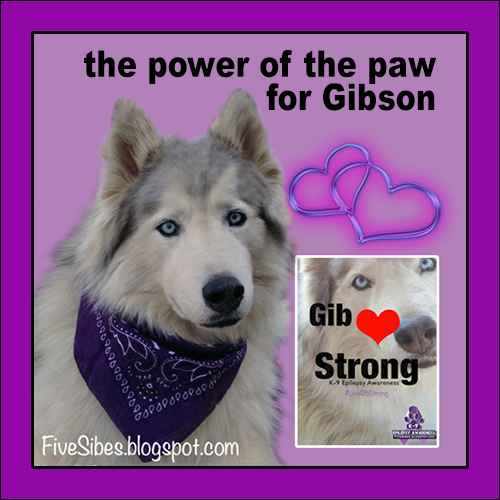 My hope is that through this book, I can help others who may be going through what I did when Gibson first became an Epi-dog. A portion of sales will also help support the "Emma's Seizure Fund" through the Epil-K9 Foundation (home of the Canine Epilepsy Resources and Epil-K9 List), which is house at the North Carolina State University College of Veterinary Medicine. 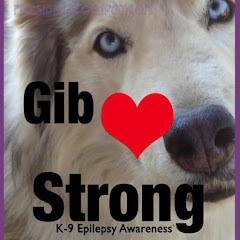 Our Purple Day Epilepsy Awareness episode of "The Sibe Vibe" on Dog Works Radio featured Kimberley Matchem of Alberta, Canada, author of Confessions of a Rescue Mom blog, animal advocate, and Epi-dog mom to "Rolo," who is also one of the Epi-stars in my new book EPIc Dog Tales. 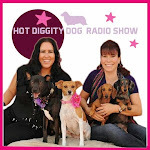 We talk all about Canine Epilepsy advocacy, awareness, and outreach. You can tune in here any time, or you can also listen to the this episode, as well as all of our past episodes on iTunes. And be sure to listen to the very end of the show when "Rolo" says "hi!" Epi-star "Rolo" tuning in to show! 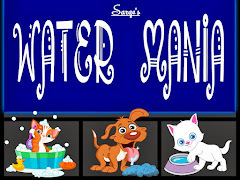 Another great resource is the Paws to People: Bridges to Cures (P2P) site. This grassroots organization based in New Mexico, is "committed to furthering comparative studies research in catastrophic diseases (such as Epilepsy, Cancer, etc.) 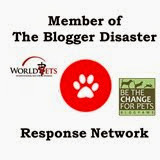 to save the lives of humans and pets." 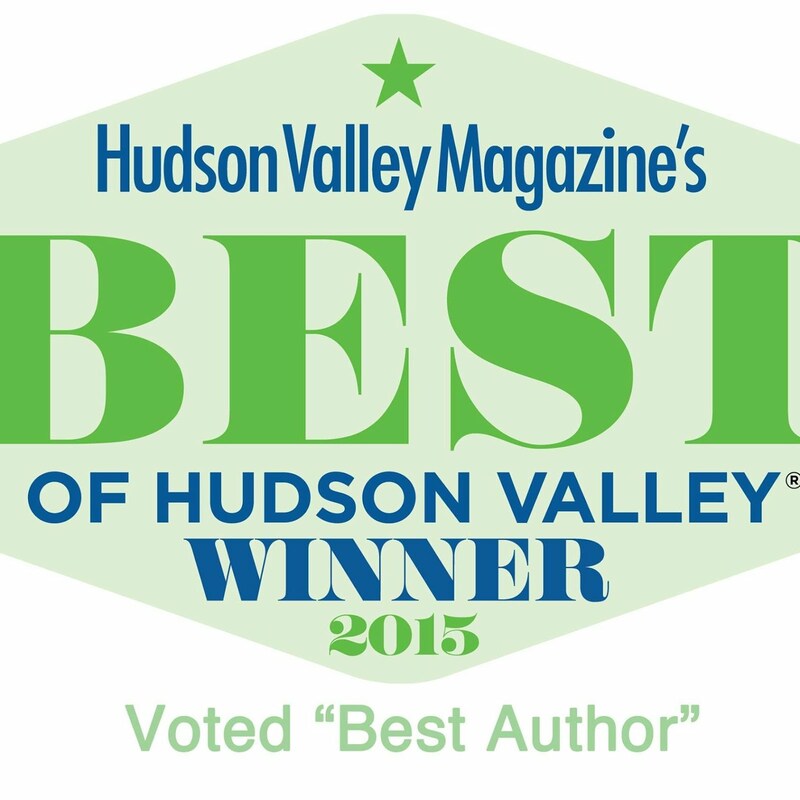 Be sure to get on their newsletter, Pulse, mailing list, too! 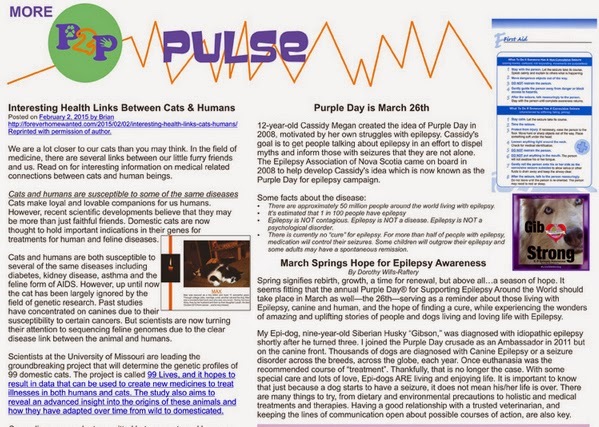 In this month's March issue, check out my article "March Springs Hope for Epilepsy Awareness." Read full newsletter HERE. This past September we started a survey to see what, if any, effects solar flares, lunar phases, and weather & atmospheric changes had on Epi-dogs. The results, which will be shared with North Carolina State University College of Veterinary Medicince for possible expanded study, has been bringing in very interesting results. If you have not yet taken the survey, please do take a moment and answer the one question HERE. 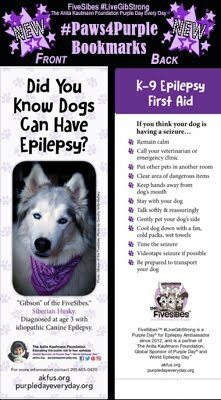 Your replies are very important to us to get an idea of the type of effects these types of phenomena have on dogs with seizures. 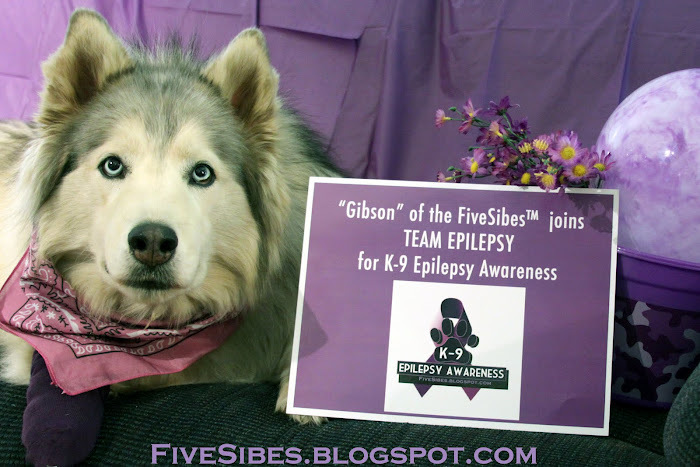 This year again we are featuring a Purple Day for (K9) Epilepsy 2015 Photo Album over on our FiveSibes: Siberian Husky K9 News & Reviews Facebook page, so feel free to share your purple pics! It's a public community page, so even if you don't "do" Facebook, you are welcome to come visit and look around. We do hope you'll stop by and see these beautiful Epi-dogs from across the globe. 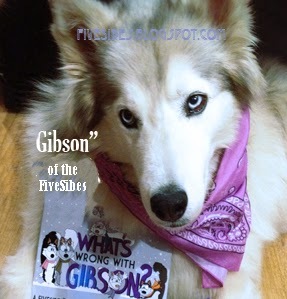 Gibson would like to remind anyone who would like to purchase a copy of our What's Wrong With Gibson? 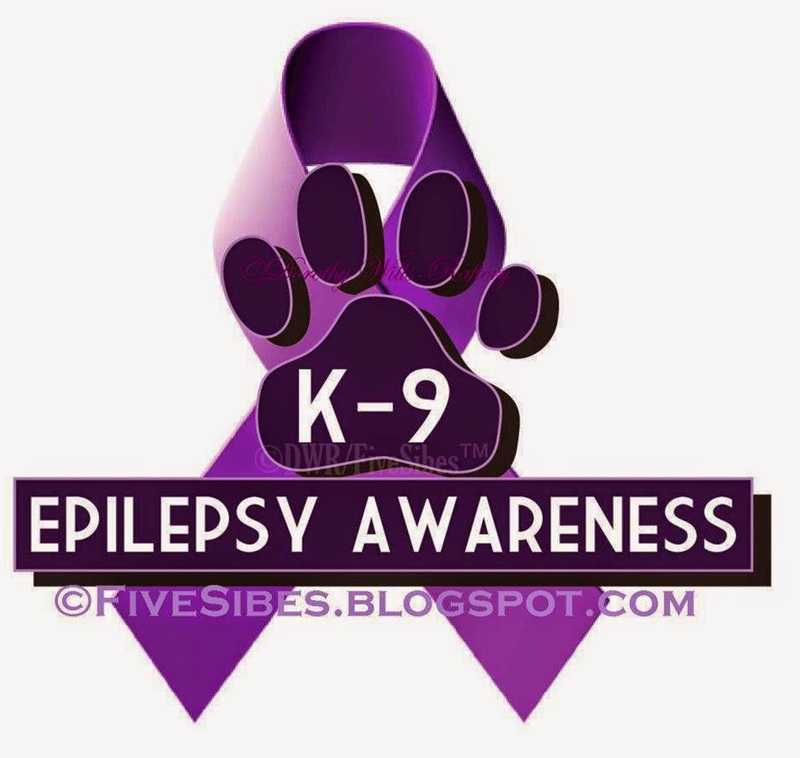 Learning About K-9 Epilepsy book, a percentage of proceeds will be donated to the Canine Epilepsy Resources "Emma's Fund" through the North Carolina State College of Veterinary Medicine. To purchase a copy, visit our publishing website HERE. 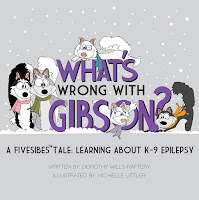 This book is a great tool for helping young children learn about epilepsy in a light, educational manner without any fear. 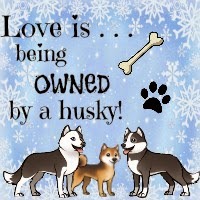 It's also a favorite among Siberian Husky lovers of all ages! 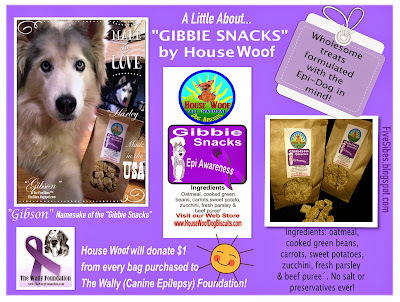 I'd like to take this opportunity to welcome House Woof K-9 Dog Biscuits to their second year as Purple Day Ambassadors! 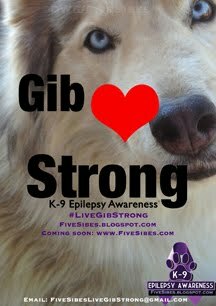 Representing Vermont, they have joined in the "Live Gib Strong" K-9 Epilepsy Awareness effort in many ways, including their development of our namesake dog treats, "Gibbie Snacks," formulated by House Woof with the Epi-dog in mind - never any salt, rosemary, wheat, or preservatives added and always made bakery fresh! 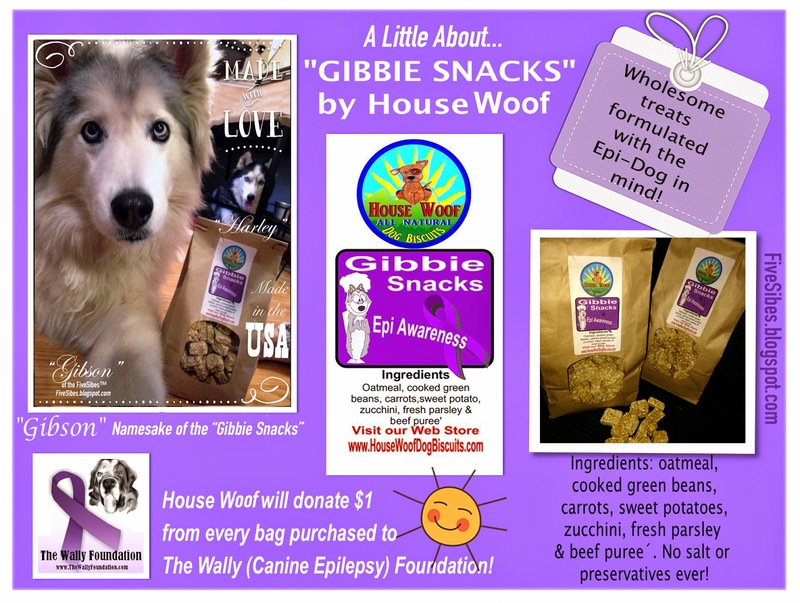 PLUS - they donate $1/bag of "Gibbie Snacks" purchased to the The Wally Foundation for Canine Epilepsy that offers possible financial assistance to families, fosters, and rescues of dogs diagnosed with idiopathic epilepsy. Time to join our Blog Hop & network Purple Day Canine Epilepsy Awareness with others! Thank you so much for "going purple" with us and joining in our very special Purple Day® Blog Hop! 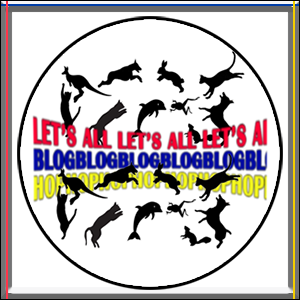 Please post the badge above (go right ahead and cut & paste) and include a link back to our blog here, and don't forget to grab the code below to be sure your blog post is listed in the network! 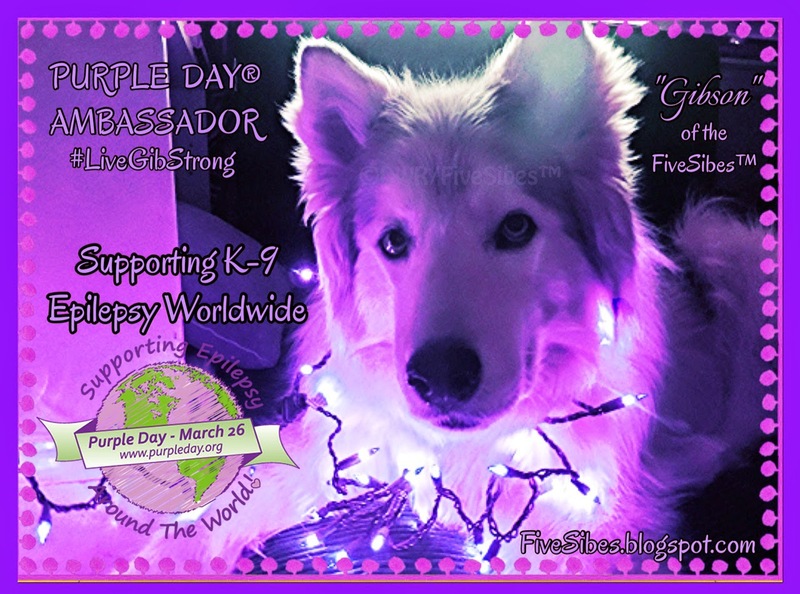 And then be sure to visit all the great blogs participating listed below to see what they are doing this Purple Day! Happy Puppy Day! 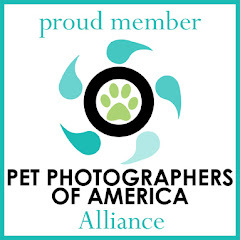 Founded in 2006 by Celebrity Pet and Home Lifestyle Expert and Author, Colleen Paige, (who is also the founder of National Dog Day and National Cat Day), today (which is now International Puppy Day!) 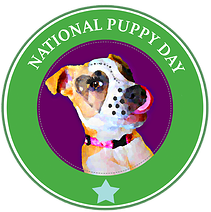 is a day to celebrate the wonder and joy of puppies...and to promote adoption! 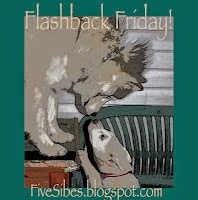 Here a look back at our FiveSibes from their days as puppies! 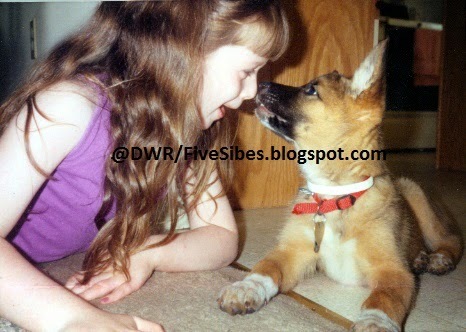 Our beautiful furangel Chelsey as a puppy with my daughter when she was just a young girl shortly after we brought Chelsey home - best pals since the day Chelsey was adopted from our local SPCA! And please remember...no pet store/puppy mill puppies! 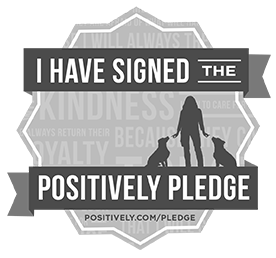 Visit the ASPCA's No Pet Store Puppies website and take the pledge today! Go Purple With Us on March 26th ~ Purple Day® To Support Epilepsy Around the World! 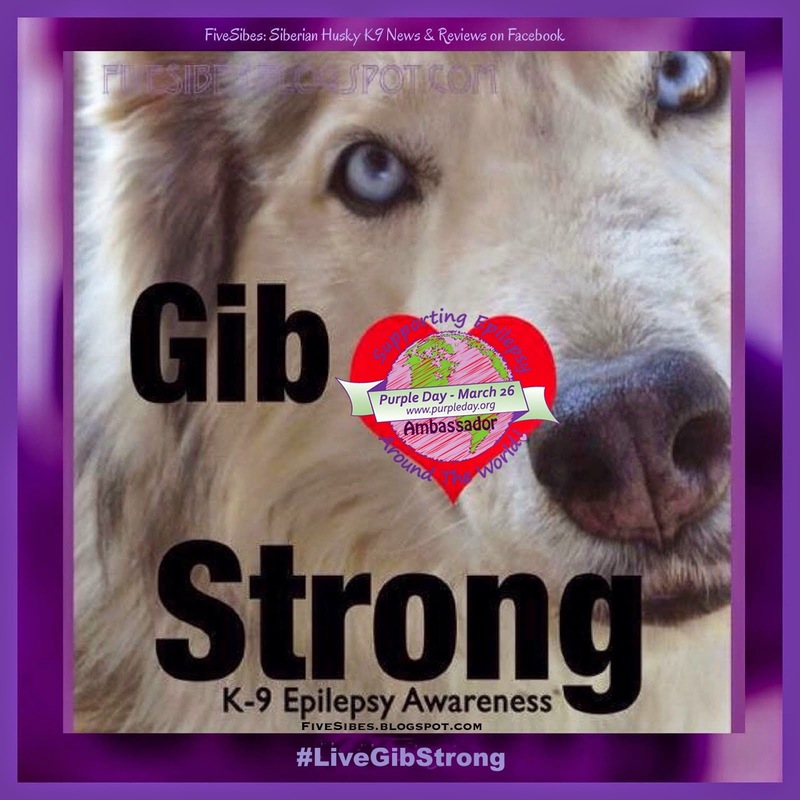 As a Purple Day® Ambassador since 2012, and founder of #LiveGibStrong K-9 Epilepsy Campaign, my Epi-dog "Gibson" and I would like to invite other pet bloggers to come join in our Purple Day® Blog Hop on MARCH 26th to help us spread the word about Canine Epilepsy Awareness and to let pet parents & guardians know they are not alone if they have a dog with epilepsy and that dogs can - and DO - live happy, full lives with Canine Epilepsy. So on Purple Day, we proudly join the founder Cassidy Megan, in showing our purple in support! And we hope you'll join us and show our #paws4purple unity! 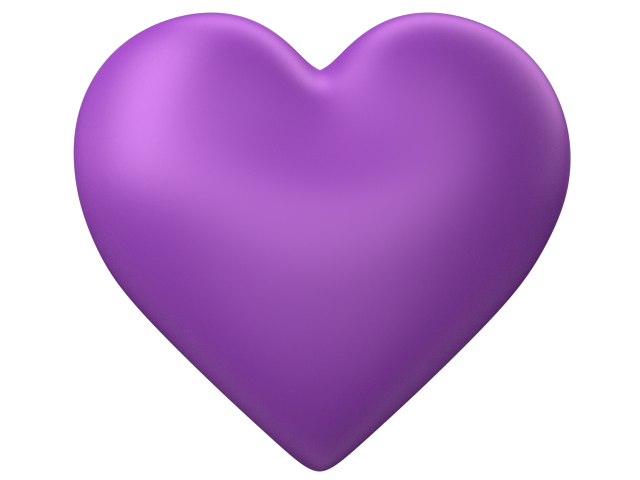 and let's become a blogging community of purple! 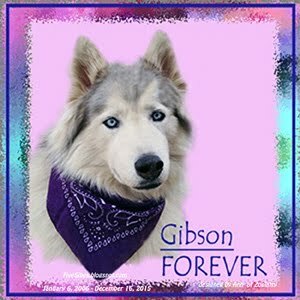 Gibson and I thank you and hope to see many of you here on March 26th! 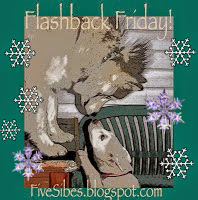 Spring Fever on a FiveSibes Flashback Friday! "It's spring fever.That is what the name of it is. And when you've got it, you want--oh, you don't quite know what it is you do want, but it just fairly makes your heart ache, you want it so!" Woo! 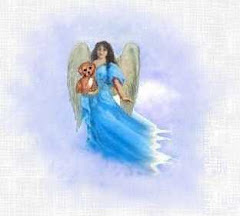 Spring has sprung and with it an excitement that fills the air as we anticipate a season of rebirth and renewal! It's a refreshing time of year where we prepare to spend more time outdoors in our yards, barbequing, outdoor games, getting the pools ready, and running and playing on the green grass! 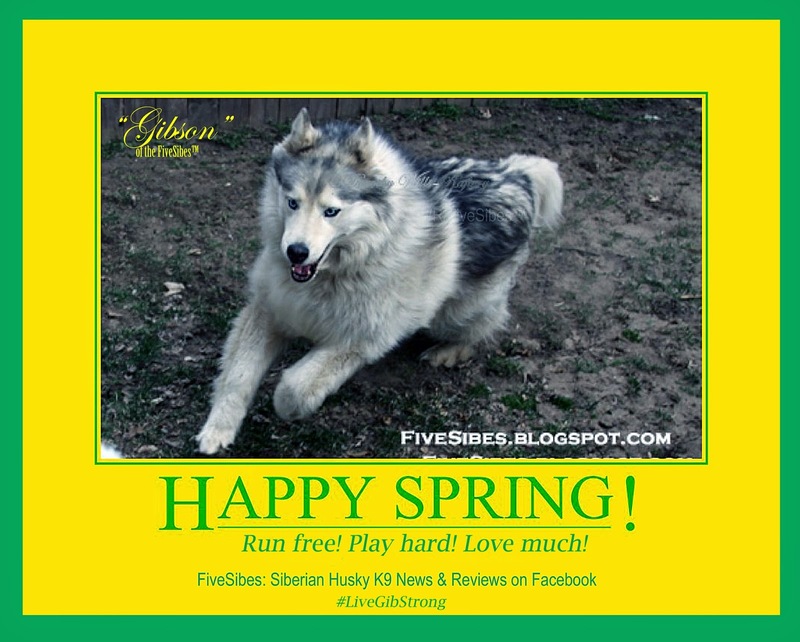 In this Flashback Friday photo, my boy Gibson is feeling a bit of spring fever as he lopes across our muddy yard! This photo was taken three years ago, prior to his fall. I do so miss the days of his running carefree, but am thrilled he can walk again. So I look back fondly, but look ahead feeling blessed and hopeful. Here's to a wondrous spring for us all! 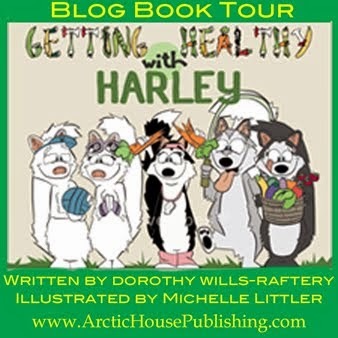 A spring scene from Getting Healthy With Harley! 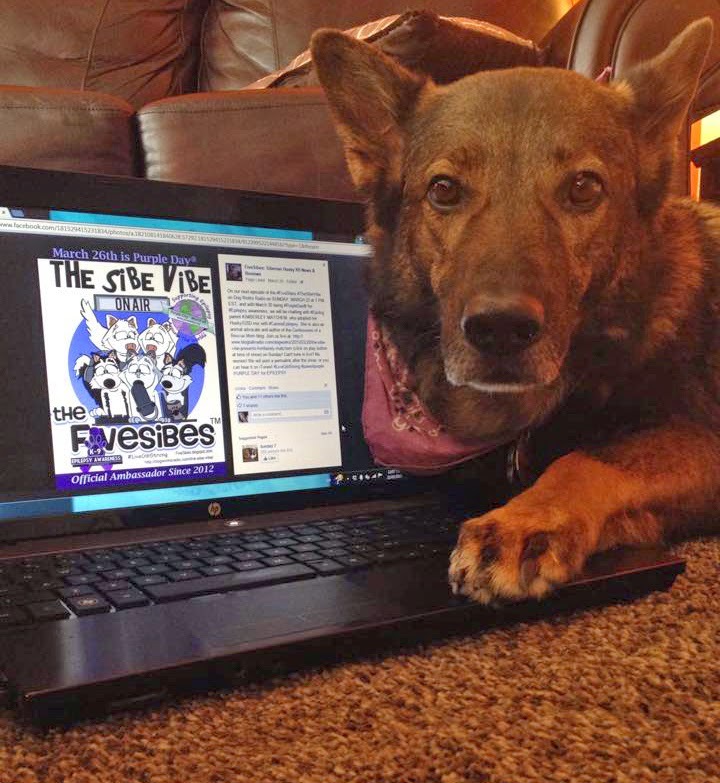 And what better time to get a copy of my second FiveSibes™ Tale Getting Healthy With Harley? Check out the FiveSibes in all their exercise gear getting healthy and fit just in time for the warmer weather! 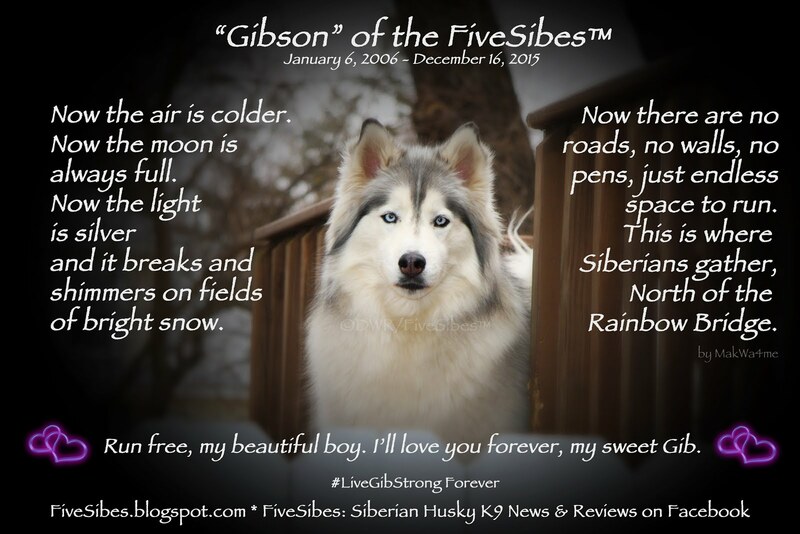 A portion of sales will benefit the Save Our Siberians Siberspace Rescue Fund, too! 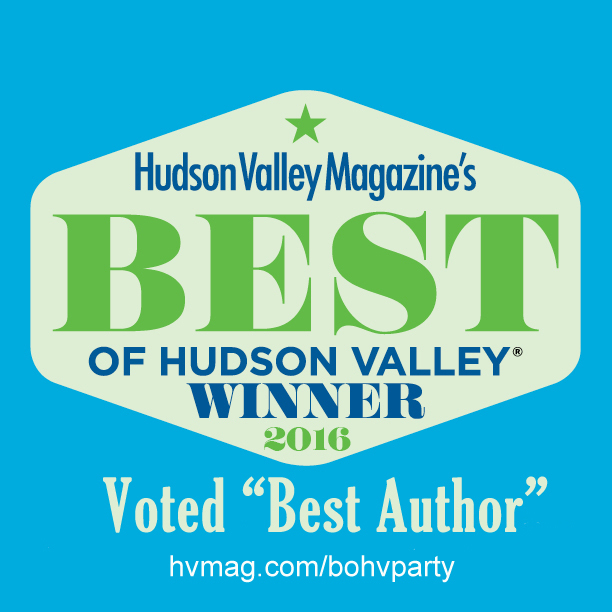 Order your copy today from our publishing site at ArcticHouse Publishing! 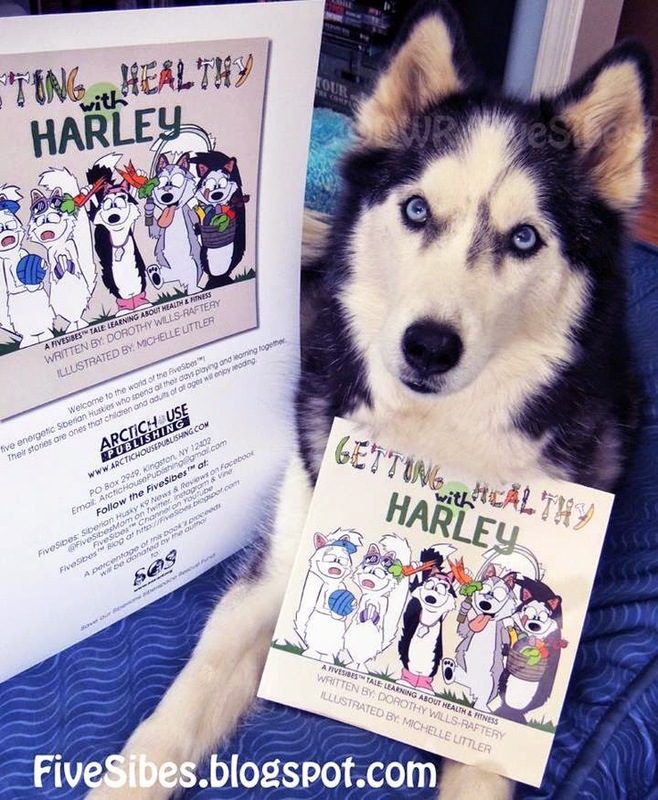 Harley says, "Let's get fit together!" 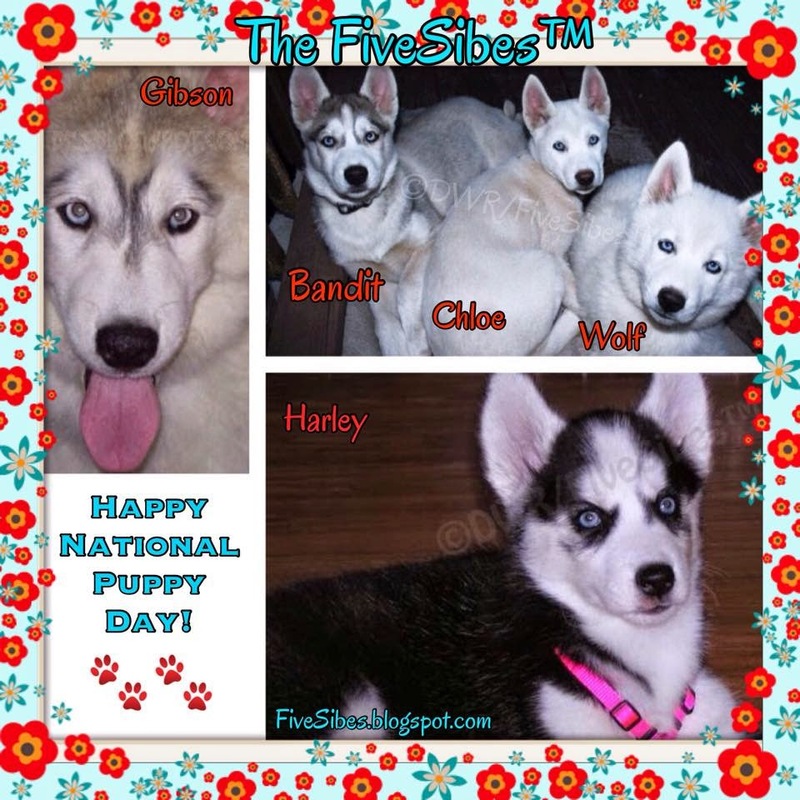 Flashback Fridays are brought to you by us - the FiveSibes - and our new co-hosts, Love is being owned by a Husky (who are currently hosting a giveaway, so check it out! ), each Friday. We hope you'll find a photo or video from Memory Lane, post it, and link up to our blog hop each week! If you don't catch it on Friday, you can link up any time during the week! Happy St. Paddy's Day From the FiveMcSibes! 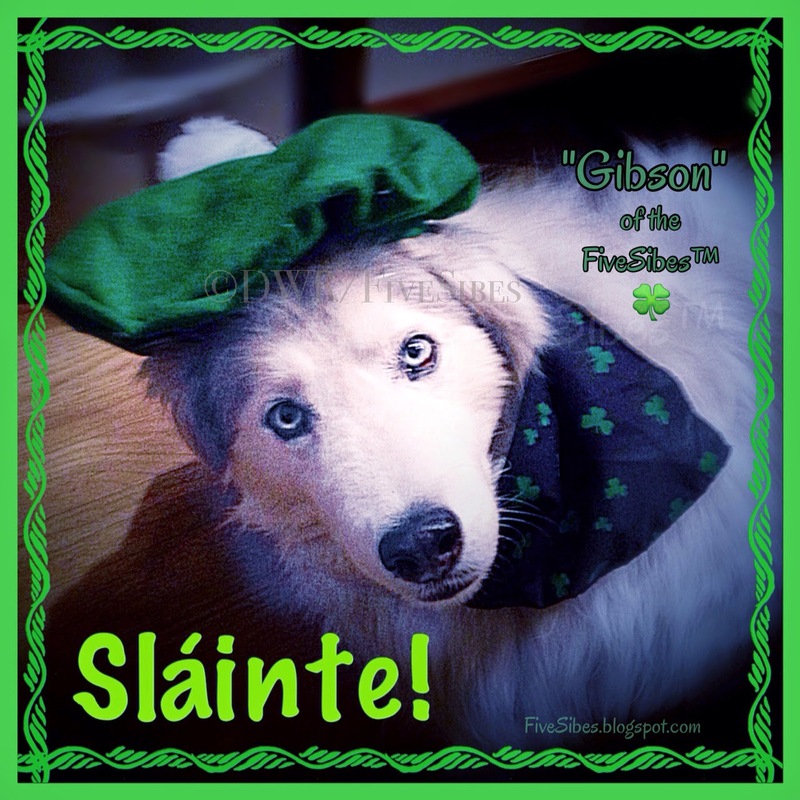 We are all feeling a bit "Sibe-rish" today! It's official! Love is in the air! Wolf has a girlfriend! He and beautiful Faith DaBaldo of Illinois have been seen wooing around town since Valentine's Day. 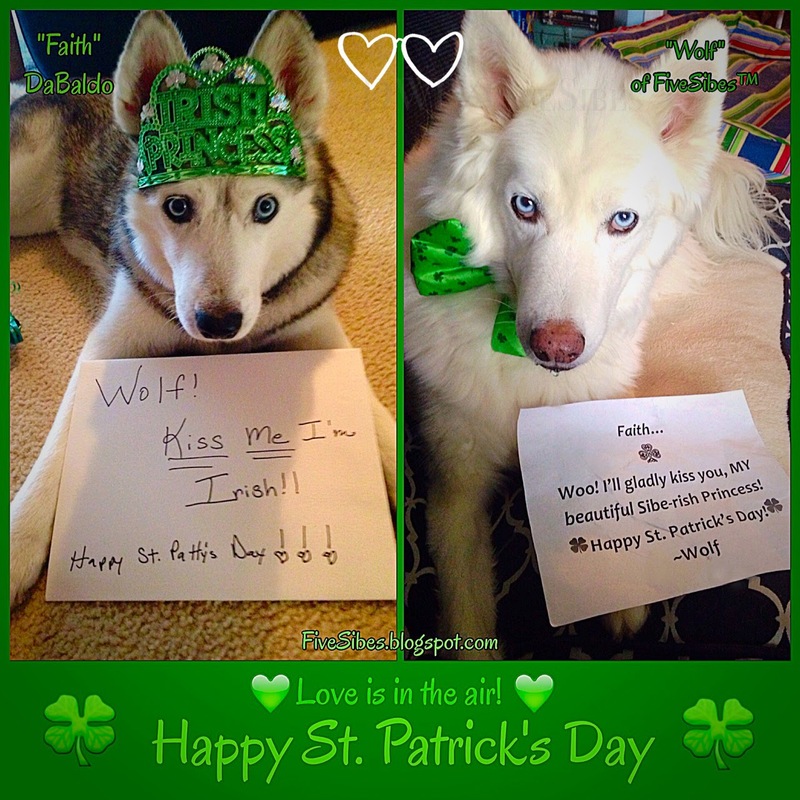 Today, Miss Faith asked for her Irish kiss...and Wolf was, who is quite smitten by the beautiful lass, was more than happy to oblige! She really makes his shamrocks shake! Aren't they just the cutest couple? And to get you all in the mood for some Sibe-rish jigging, here's a little music video we put together! And what's St. Paddy's Day without treats? 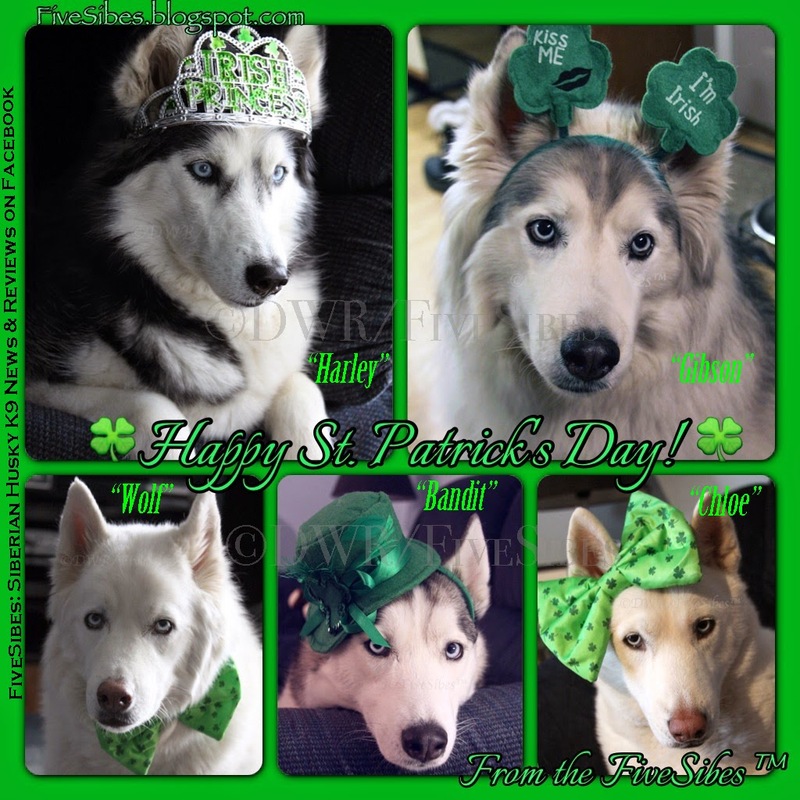 Here's a great healthy green "Shamrock Dog Cookies" recipe from our friends over at Gone to the Snow Dogs! 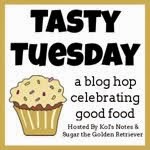 Our Tasty Tuesday host, Sugar, the Golden Retriever, also has a great recipe for "Nutty Spinach Apple Berry Bones." Yum! Full recipe on Sugar's website. 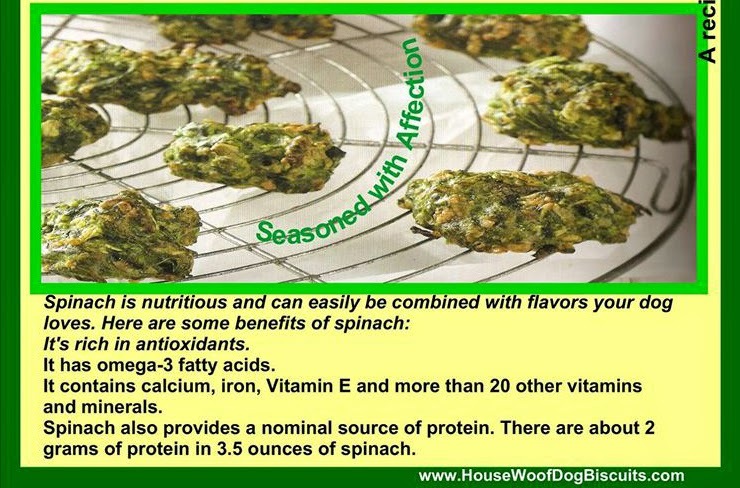 And there's a delish recipe shared from our friendly bakers over at House Woof Dog Biscuits in Vermont for "Dakota's Spinach Dumplings" on their Facebook page! Nom-nommms! And how about a little Irish "beer" to wash down those treats? 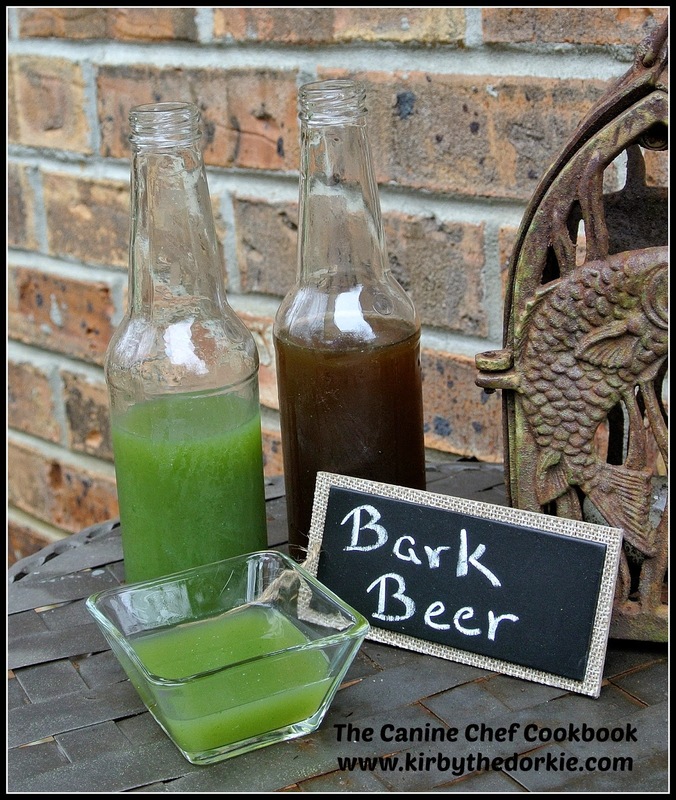 Check out this recipe from Kirby the Dorkie's Canine Chef Cookbook! on Kirby's website! "Oh, the music in the air! on the Seventeenth o' March!" 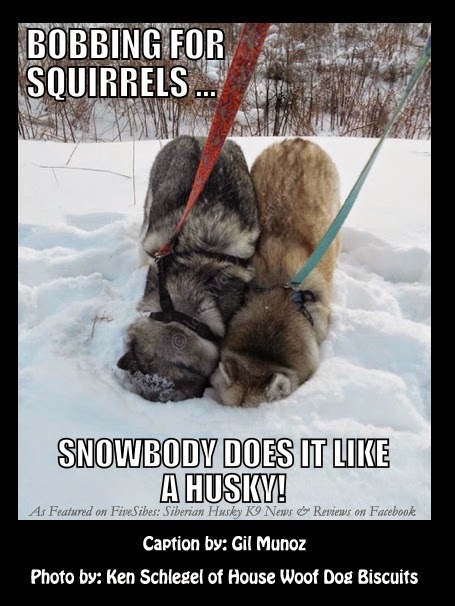 Snow Bobbing on a Merry Meme Monday! What a great way to kick off a week! 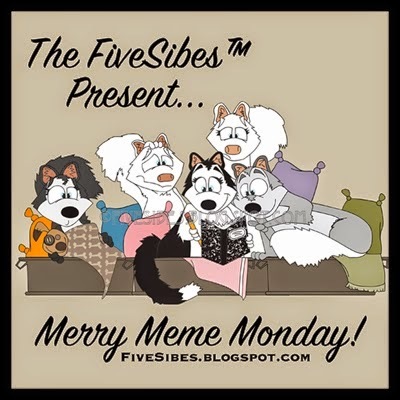 FiveSibes™ Merry Meme Caption Contest is periodically hosted over on our FiveSibes: Siberian Husky K9 News & Reviews Facebook page! 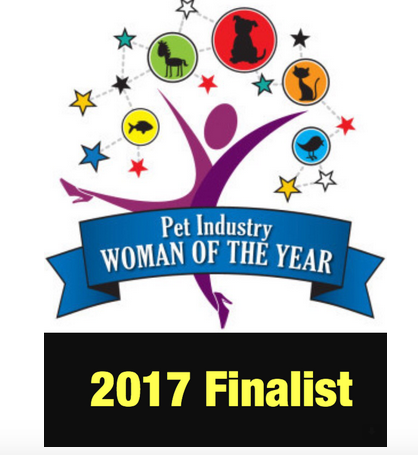 We know this silly duo of Sibes, beautiful "Struga" and "Keysha" of House Woof Dog Biscuits in Vermont, will give you a chuckle like it did us! We have a lot of fun with the photographers and caption winners (winners are selected by total number of "Likes" by our Facebook readers), so join us each Monday for some Merry Memes and lots of smiles! may live, my life is also yours." 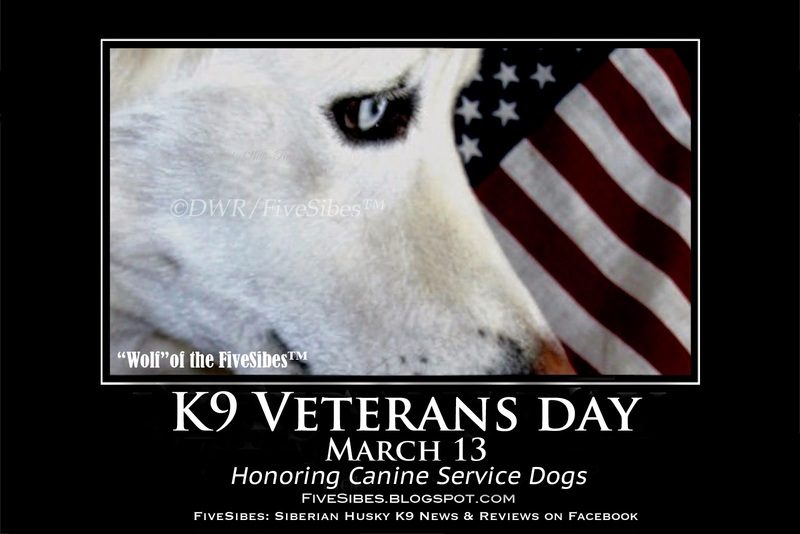 On K9 Veterans Day - held annually on March 13 - we honor our Canine Service Dogs. 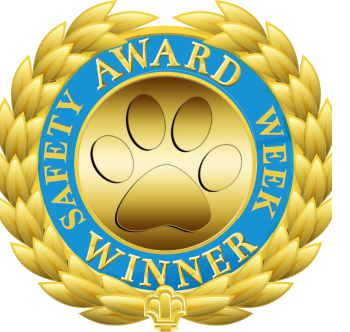 Today, they serve in many fields - including Military, Police, Search and Rescue (SAR), and as Therapy dogs. 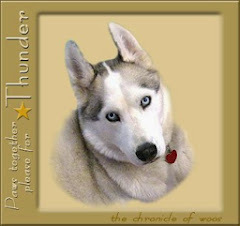 On this Flashback Friday, we are sharing a portrait I took of my Husky "Wolf" a few years back, as well as a look back at our canine veterans. The proper training and health care necessary for their well being." 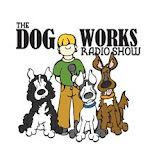 There are many working breeds of dog who have served faithfully as a K9 soldier, also known as a War Dog. 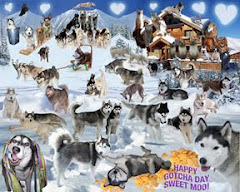 But, did you know that the Siberian Husky and its cousin the Malamute were among them? 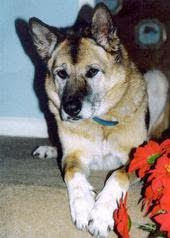 According to the United States War Dog Association, in "January, 1942, not long after the attack on Pearl Harbor, the American Kennel Association and a new group calling itself 'Dogs for Defense' mobilized dog owners across the country to donate quality animals to the Army's Quartermaster Corps." Among the breeds used, were the Belgium Sheep Dog, German Shepherd, Collie, Doberman Pinscher, Eskimo, and the Siberian Husky. 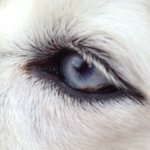 Siberian Huskies make wonderful Therapy Dogs? 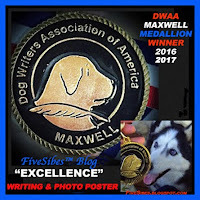 Siberian Huskies and their cousin the Malamutes, were among the working breeds who served as war dogs during World War II? 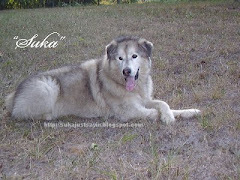 The War Dog Ambassador was a Siberian Husky named "Buck?" 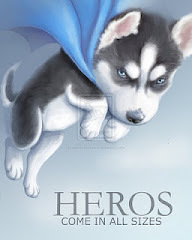 "When Pearl Harbor was attacked on December 7, 1941,the United States inventory of military working dogs consisted of only 90 Siberian Huskies and Malamutes. These dogs were used as pack and sled dogs for rescue in areas of the world where motorized equipment could not go." American Humane Association, U.S. War Dogs Association, and Red Bank Veterinary Hospital (in New Jersey)Announce FREE Specialty Veterinary Care For All Returning Military Working Dogs And Contract Working Dogs. Read all about it HERE. 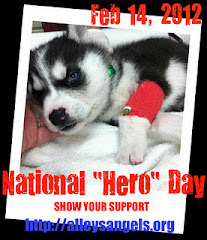 To All the K9 Heroes & Service Dogs ~ We Thank You and Your Handlers for Your Loyal Service. I dedicate today's blog post to my my late father, whose 95th Birthday would have been yesterday, March 12. He was a TSGT and served two tours during World War II, the first with the "Big Red One" - the U.S. Army's First Division, and then later on with the Rainbow Division, 16th infantry, was an avid animal lover. Here is a photo of him on base with two of his K9 companions circa 1941-1942. It's Manic Monday - Time for a Merry Meme!